I’ve been curious about organic food for a while. To be honest, I don’t have great access to it. 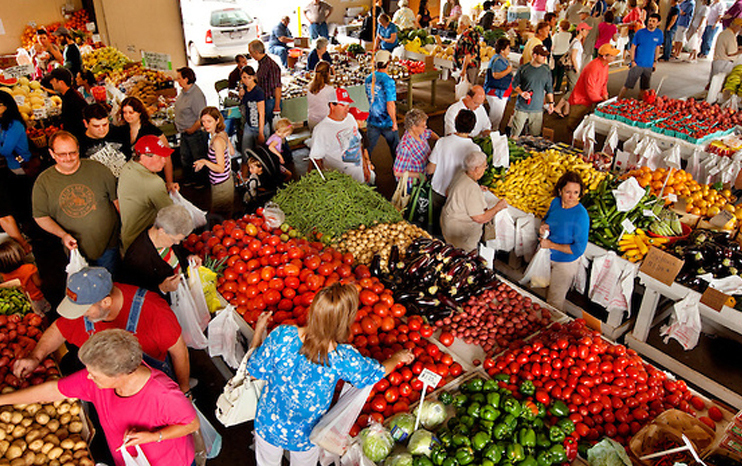 Where are all these farmers’ markets people keep talking about? Markets where you can buy fresh, organic, local produce? Truly. I don’t see them. I have a few natural food stores in my area but their lettuce, kale, and other greens are often wilted and brown around the edges. The price for those greens is double or triple what I’d pay for their conventional versions at a supermarket. One natural food store was selling a bag of organic apples for $14.99 and a bag of small oranges for $16.99. That’s a lot if you ask me. And those apples and oranges … and lemons and mangoes and grapes, etc., weren’t locally grown. My grocery store sells what I’ll call “industrial organic,” foods grown in large, monocropped fields and shipped in from other states and even other countries. The price is always higher than conventional but a little better than my natural food store, probably because they can buy in bulk. They also have better turnover so it’s fresher. The 1960s and 1970s brought more visibility to organic farming in the United States, as public concern over pesticide use increased. Humus farming was typified by mixed farms that included livestock, food crops, feed crops, and green manures. Humus farming made little or no use of soluble commercial fertilizers or pesticides, in part because the health of the soil rendered them unnecessary. That definition only describes the mere 1-2% of crop production that’s organic. Manures from conventional systems are allowed in organic production, including manure from livestock grown in confinement and from those that have been fed genetically engineered feeds. Manure sources containing excessive levels of pesticides, heavy metals, or other contaminants may be prohibited from use. 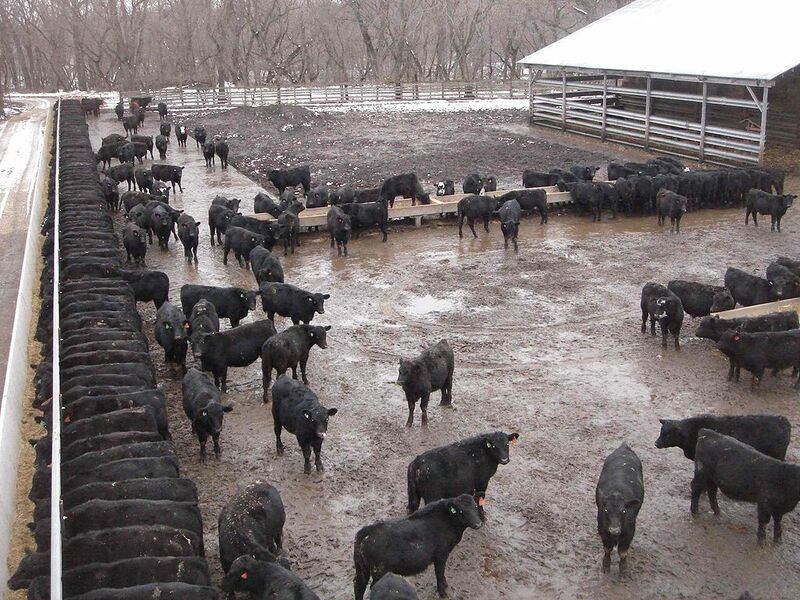 Such contamination is likely present in manure obtained from industrial-scale feedlots and other confinement facilities. Herbicide residues have been found in manures and manure-based composts. Glyphosate, the active ingredient in Roundup, is the most widely used herbicide in conventional farming. And there it is in manure used to grow organic produce. 2. Incorporated into the soil a minimum of 90 days prior to harvest of all other food crops. To be considered processed, the manure must be heated to 150 °F for 1 hour and dried to 12 percent moisture or less. Heating manure doesn’t do away with contaminants like lead, mercury, cadmium, arsenic, pesticides, herbicides (as we saw above), pharmaceutical drugs, and other environmental pollutants, many of which, like BPA and phthalates, act as endocrine disruptors. It might break them down, but the metabolites can be just as harmful. Heating just kills microorganisms. When an equivalent organic variety is not commercially available, conventionally grown seed may be used. 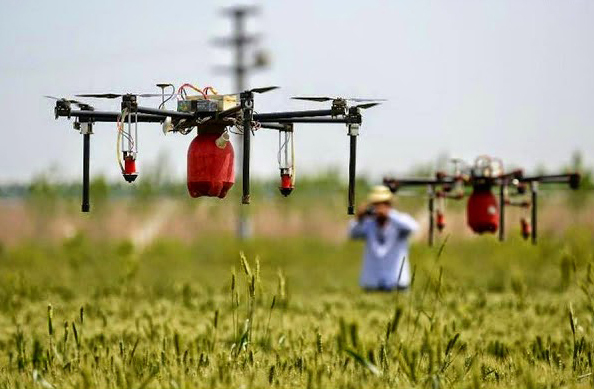 GM crops that are now being planted or will soon be available include alfalfa, beets, corn, soybeans, papaya, plum, rapeseed, tobacco, potato, tomato, squash, cotton, and rice. Pollen from GM crops has been contaminating organic crops with increasing frequency. I’m really surprised to see that in a USDA document! If a nearby neighbor grows conventional cover crop seeds and you wish to plant them because they are locally adapted, you may claim that organic seeds of that variety are not commercially available. At the time of this writing (November 2012), many plant varieties are not commercially available in sufficient quantity, which may require the use of nonorganic planting stock. Treatment with prohibited substances is allowed when the application of those substances is a requirement of Federal or State phytosanitary regulations. For example, strawberry crowns may be required to be treated with fungicides prior to interstate shipments. Synthetic substances allowed for use in organic crop production: … The list includes algaecides, disinfectants, sanitizers, irrigation system cleaners, herbicides, animal repellents, insecticides, miticides, pheromones, rodenticides, slug baits, plant disease controls, soil amendments, and plant growth regulators. Humus farming made little or no use of soluble commercial fertilizers or pesticides. The USDA organic regulations have very little to say about irrigation and irrigation water quality. Water treatment plants have a hard enough time keeping cattle growth hormones and pharmaceutical drugs out of our drinking water. I imagine water used for irrigation is a step below tap water in priorities. Ultimately, it’s up to the farmer to care, to make sure water that quenches his crops is clean. One last point. It says that farmers are exempt from these rules if they sell less than $5,000 of organic produce per year. So, a small local farmer might be selling organic produce that’s grown with more rigorous standards than USDA’s, or less rigorous. Farmers’ market produce could be even more laden with chemicals than conventional. You don’t really know. Do you see whats going on here? I get the sense that industry had input in these regulations; there are so many loopholes, so many places where an unscrupulous grower could use lower-cost, less-than-organic methods, and still sell for a premium organic price. Something else … If this is how we’re growing organic, how are we growing conventional? This report, and some other USDA websites said organic farmers should not use “sewage sludge.” As if? I mean, is that the convention? What I learned from this is that food labeled “organic” is not chemical-free, not by a long shot. Perhaps this Is what should be expected as we scale up organic production, as we industrialize it. This entry was posted in Uncategorized on July 8, 2015 by Bix. I don’t think most people consider whether they’re, in fact, buying organic seeds and/or seedlings when planning their gardens. Most of the large seed companies are not selling organic seeds. Some are but in my experience you have to seek them out. I’d not thought much about the consequences of hydroponic grown veggies and the purity of the water used. There are many pitfalls for those wanting really organic food and many areas to consider. Even if one thinks manure is fine if properly processed, how many consider that the animals have been eating gmo foods. Really, it’s mind-boggling! Good point about hydroponics. This report skimmed over them. They said you have to be careful about the structures used to hold the water … no pressure treated lumber. Plastic probably isn’t a good choice either. I get a feeling that food from the 60s that wasn’t expressly organic was probably more organic than today’s expressly organic food. There really is a lot to digest here. It seems that farmers may end up using more of an organic pesticide than they would of a stronger synthetic one. That may leave more chemical on the organic crop, and that chemical may not be so benign. What is happening … by having a parallel, niche, “organic” market, it gets people’s minds off of how conventional food is produced … because they can just buy organic. If there was no such organic alternative, people would be clamoring to get the pesticides, sewage sludge, and other pollutants out of everyone’s food. Out of the 99% of food that’s grown conventionally. It would happen overnight. The organic market is like a sedative, it drives activists to complacency. Besides, organic food, as I’ve come to see, is not pristine. It has been found to contain synthetic pesticides like Roundup, GMOs, toxic metals, and endocrine disruptors from plastics and contaminated water. The longer we go without cleaning up conventional agriculture, the harder it will be to keep these substances out of any food, organic or not. That makes perfect sense. One only needs to think about ANY trend that becomes accepted by more of the public such as organic foods to see how it becomes corrupted by profiteers. Back in the day, when organic food was suspect by most of the general public due mainly I suppose to it being associated with hippiedom, flower children, etc. it was better. Of course, the soil was better–in many cases being left fallow for alternate years, less pollution of everything. That was then, this is now . . . what’s the answer for the future? We have a fabulous farmers’ market in Media–*quite* inexpensive, in contrast to many health-food stores or supermarkets. And the produce is picked the day you buy it. I now prefer it to belonging to a CSA, b/c I can choose only the items and amounts I want or can use before they go bad. I’m very surprised there’s not a similar farmers’ market near you. http://mediafarmersmarket.com/ Of course, growing your own allows you to control the inputs. USDA says less than 1% of US cropland is organic, and a big chunk of that is industrial organic, so you are one of the fortunate ones. I guess so–Media is going very strongly in this direction. I do want to read your essay on the study more carefully, but in the one about pesticides on organics, I will point out that some small, non-industrial organic farms (and many gardeners–like me) use no pesticides at all. Lightweight row cover is about as far as they go. I’m sorry there’s nothing near you. Most of us do not eat organic food. Only a very small fortunate handful get to eat food that is not grown with chemicals. How can we get that small amount of organic food into the hands of those who need it most? I often say we should collect all the organic food from farms and gardens and give it to people in hospitals and care homes and schools first. I think that would be the most caring and ethical thing to do. The rest of society can have the remaining non-organic food, the food grown in sewage sludge and with so many harmful chemicals that farmworkers die by the thousands. … It would make a whole lot more food in this country organic! And it would happen overnight! Sadly, it’s the other way around. The cheapest, most-chemical-laden food ends up feeding the old, the sick, the people who depend on others to feed them, the people who aren’t in a position to change things. The best food goes to the young, healthy, and wealthy … people with the ability to change things. All of the farms & farmers’ markets in PA and NJ I’ve worked for already donate all their extra food to groups like Philabundance and others that stock food banks for the poor. A 2014 Gallup poll says 45% of Americans actively seek out organic foods–that’s almost half the country. http://www.gallup.com/poll/174524/forty-five-percent-americans-seek-organic-foods.aspx . Here’s another link that addresses the class and income issues that concern you: http://livingmaxwell.com/gallop-poll-45-percent-americans-seek-out-organic-food. Over 40% of families with incomes under $30,000 are seeking out organic foods. That doesn’t mean there still aren’t problems of availability. But if you keep up with the news on local growing, more and more cities–including inner cities–offer community gardens where anyone can grow things for free, and volunteers are teaching them how to do that and giving them organic seeds and seedlings. And for Marj, there are any number of big seed companies that sell organic seeds: just off the top of my head, Johnny’s Seeds, Territorial Seeds, Fedco (probably the least expensive). Not all of them sell *only* organic seeds, but each year the amount they carry is higher. At the bottom of the page on this link is a longer list of the top seed companies as well as info on stores where seeds are sold. So, the demand for food not grown with chemicals and sewage sludge is great (what would you expect? ), but the supply is not great. It doesn’t make sense to me that something of value that is rare is being given away or sold at low cost to the the old, the poor, and people in institutions. This CommonMarket link doesn’t say their food is organic or pesticide-free. Why isn’t Red Hill Farm giving their organic produce to the Sisters who … own the farm!? Your link also says that USDA certified organic foods “can’t be treated with chemical pesticides.” As this USDA document that I posted reveals, that’s not true. Organic foods are treated with a variety of chemical pesticides, both natural and synthetic. Why would they not know that? It’s public knowledge. Local organic farms selling their food for little profit (if indeed they are, but people claim this), people growing their own organic food… these aren’t the answer. These are nice stories, the kind of stories that may help people sleep at night, but they don’t reflect reality – that most people don’t grow their own food, that most people don’t eat organic food. There just isn’t enough to go around. On that topic of growing our own food (to sustain us, not just tomatoes)… I’ve read that on other sites. It’s depressing. First, it’s not free. There are many costs … the land, the organic soil, the water, the time (it takes time to grow your own wheat and make your own bread), education, vet bills for livestock. And what happens when the crop fails? Do people buy crop insurance? Does the government offer it? As they do for larger growers? I’ve worked with older people, people who don’t see well, who don’t walk well, who don’t drive anymore, who have difficulty reading and using numbers, who tolerate chronic pain, who forget to eat. They should grow their own food, people say. It’s crazy. Why should these people who shop at grocery stores and bodegas, not farmers markets, have to consume the cheapest, most Roundup-laden bread? Why can’t conventionally grown foods be cleaned up so everyone, no matter where they shop, gets to eat healthy food? The reality is that we are dumping toxic chemicals onto the land and into our bodies in a devil-may-care fashion. It’s a food system that “has imposed the mentality of profit at any price, with no concern for social exclusion or the destruction of nature.” It’s heartless and it’s sickening. THAT’s the answer … we have to clean up conventional agriculture, the 99.2% of cropland. Not create some small niche market for the privileged. Yes, it’s heartless and sickening, no doubt. And it appears to be a relentless march by the for-profit companies involved in food production to continue the status quo and make it bigger and better (for them). It was hard to swallow (sorry) back in 2013 when the EPA allowed even more glyphosate to be applied to food crops. As to the organic seeds, I was thinking of people wanting to start a garden ostensibly for healthier food who go to say, a hardware store for seeds not realizing that these seeds could well be gmo seeds. Nothing against hardware stores, but organic seeds are not sold everywhere. It’s just that there are so many angles to consider when trying to eat better and healthier. Will step down from the soapbox now. Thanks for delving into all of this, it’s so important. I no longer work at Red Hill, but they do in fact give their produce to the Sisters who own the farm but don’t work it. And there’s plenty left over for the CSA members as well as for donation to Philabundance and other food charities. Not being God, I cannot answer all your objections to organic food, the difference b/tw seeking and finding, or what specific practices are followed on industrial organic farms. I only know about specific (smaller, local) farms that do not use manure or pesticides. And I know about the growth of urban community gardens and volunteer efforts to teach people to grow things themselves. As for the older folks, there also are groups I’ve read about (across the country but also here) that go around neighborhoods harvesting (with permission) from home gardens and fruit trees the surplus those gardeners don’t need and redistributing it to people who can’t garden or can’t afford freshly grown food. Re home vegetable gardening, who ever said it’s free? It takes a small initial investment (seeds & a bag of potting soil to grow seedlings), then time and work (often in the worst steamy weather). But it’s not as expensive as buying everything at the store. As one of those older folks you mention, I’ll be dead before we no longer can grow anything in this country (as per the Guardian article), but I feel really sorry for subsequent generations. I don’t foresee any saving grace, frankly. And that’s just depressing beyond measure. According to Cummins, local farmers who don’t grow certified organic aren’t improving the soil, they’re making it worse. This is depressing. Maybe hydroponics can be an alternative. I don’t know much about it but I can see it gaining ground. It may be costly. You have to build structures and maybe supply heat or light. The problem of pesticides is eliminated. I did say that about the sisters here, you’re right I exaggerated a bit though–I remember feeling angry as I looked over the monthly menu, which may have made me exaggerate. They do get *some* organic salad greens from the farm, and some tomatoes, spinach, carrots, sweet potatoes, etc. But only what’s available seasonally–meaning, no one bothers to freeze or can things so they could have, say, organic tomato sauce in winter. But what angered me the day I wrote that was how unhealthy the general selection of dishes is on any given day, whether it’s organic or not–it’s extremely heavy in animal proteins and highly refined starches. Supper tonight, for instance, is onion soup, grilled hot dogs on a bun, sliced turkey on a soft roll, baked beans, and rice pudding. I don’t see a lot of fresh veggies in there, except if they take greens from the salad bar, and not all of them do. And remember, Red Hill is only vegetables & berries. None of the sisters’ meat or dairy or grain products are organic; however that’s the same situation as the younger sisters who live at the Motherhouse–the kitchen does not routinely offer organic foods, only what seasonal veggies come from the farm, and no one preserves for the winter. Yes, I did say that many cities are starting urban gardens where people can grow fresh food. Europe is way ahead of us on that, but we are catching on. The inner city poor in those cases are getting training and seeds & plants for free, but somebody further up the line, some charitable group, is paying for it. Nothing’s truly free. Except foraging for wild foods, which I’m doing more often these days. Of course it costs me in labor, but not in money. And other people can be trained to identify and forage wild food–so called “weeds.” I wrote about that on my blog. Some farmers lie. Of course they do–some folks among all categories of people lie. I’d be astounded if I thought everyone told God’s truth at a farmers’ market. I can only speak for the farms or farmers I know, and they’re the ones I buy from. I can’t speak for all farmers or farmers’ markets everywhere. Caveat emptor, which is also the case with all markets of any sort–organic, conventional, big, little, etc. You just have to muddle along the best you can and try to discover or research or intuit what you think is true. It’s sad to feel this way, but I don’t trust people until they give me reason to. It’s like doctors or medical procedures, or Big Pharma–all that stuff that’s advertised on tv day and night. I don’t trust any of it. They tell you, “Oh, this amount of radiation won’t be harmful.” Maybe not that one small thing, but the cumulative effects can be awful. And the connection of local food to helping the climate is–and has been for a long time–questioned by some people. In fact, some years back I read an article that actually calculated “food miles” for a farmers’ market or CSA vs. food miles for a supermarket–in both cases, customers drive there to pick up their food, but in terms of transportation of the product, large trains & trucks that carry huge amounts of food all at once to supermarkets may in fact put less stress on the environment. I can’t swear that’s true, b/c I’m not enough of a mathematician/statistician, but it could be true. I don’t have the answers, Bix. I just do the best I can and follow my own lights. Sorry for this rambling discourse, but I was trying to address the points you brought up! Oh, btw, there is an organic farm run by sisters in NW New Jersey called Genesis Farm. They really do “walk the walk” and not just “talk the talk”–if I lived closer, I would love to be involved with them. I love that they combine Christian and pre-Christian, nature-based beliefs. http://www.genesisfarm.org/ or http://www.genesisfarm.org/about.taf (their website is being redesigned). I started to reply to this article when I see this link to Organic Farming Produces More Greenhouse Gasses than Conventional Farming and I see your bias. All that you suggest in this article has some basis in truth, but you have stretched it out with credulity issues. Surely some farmers are in the business of making a profit off of the organic label, but the ones I know are more interested in doing REAL and HONEST organic production. Most of your data about manure is dubious as farmers I know will not use non-organic manures, resorting to other strategies to maintain soil health. Most of them eschew insect sprays as well. In fact, that whole paradigm comes as a single piece: No poisons, no commercial fertilizers. Both are unnecessary when you reject one or the other. Glyphosate ends up in mothers’ milk. How do you suppose it got THERE? Did the mother drink glyphosate? No, our government has regulated this cancer causing substance so POORLY that it is found everywhere. To accuse an organic farm of having glyphosate in products is equivelant to accuse them of using water to grow their crops. We pay competitive prices for our organic food and competition is keen. We not only get organic products, we get fresh organic produce and we get it every week of the year. There are a multitide of farmers markets I can shop at any say of the week within in easy distance of home. On Sunday I can count no less than four that I have shopped at one time or another because they are all convenient to my home. Now about organic farming producing more greenhouse gases than conventional, I wonder what organic farm they were studying? The Rodale Institute – which I trust a damn site more than any of our land grant universities because they aren’t being funded by the chemical companies that push all this crap on us, has shown that fewer inputs equal fewer harmful outputs, ie. greenhouse gases. And, of course, by now it’s a matter of fact that not only are organic farms kinder to our environment that way, but they also sequester carbon while the chemical farms pump carbon wholesale into the atmosphere. It is as apparent to me as the nose on my face that soon we will have arrived at the conclusion that organic farming – and real organic farming, not a box with a sticker on it – will be the ONLY way we farm. Of course for more than a few years, it was the only way we farmed – chemicals having debued in the 1930’s and only becoming the norm in the 1950’s when munitions plants were converted to make synthetic nitrogen. So chemical farming is the new kid on the block and now we see the fraud for which it is. Now more folkd will turn to a way to grow food that is not nearly as harmful to the environment as conventional farming (even conventional ‘organic’ farming) and we will ALL be healthier because of it. You don’t know how clean your “organic” food is. You are depending on faith and hearsay. These tests found glyphosate in organic whole wheat bread, organic bagels, and organic cage-free eggs. The amount of glyphosate in the eggs was three times the EPA limit and was more than the amount in conventional eggs. Of course I have a bias. My bias is based on data. You also have a bias. It’s based on heresay. If we want to improve the food we eat, we will have to think seriously about class. We will have to stop focusing so intently on individual choices and think about the structural factors that create choices – and ask whether we all have the same opportunities and means to eat well. Hearsay: information received from other people that one cannot adequately substantiate; rumor. When you go to a farmers’ market and the person behind the table tells you that no chemicals came in contact with their food, yet there have been no tests, no affidavits, no certifications … how is that not hearsay? It is.